Over the past few years, a great deal of material has been collected, or its whereabouts has been identified. This led to seeking support from the Heritage Lottery Fund to share the archive material, with the aim of highlighting the heritage of the working sheepdog. The Heritage Lottery Fund uses money, raised through the National Lottery, to make a lasting difference for heritage, people and communities across the UK and help build a resilient heritage economy. A successful application resulted in a grant for a new project ‘Development of a Website dedicated to the Preservation of the Heritage of the Working Sheepdog’. The new website [www.isdssheepdogarchive.org.uk] will be launched within a couple of months. The project will last for three years, gradually adding material until there is a comprehensive on-line archive of sheepdog heritage for everyone to share. The website will be funded for a further five years, and hopefully indefinitely. Updates on the project will be published in the International Sheepdog News. Until the new website is launched, information on the project will be posted on the ISDS Sheepdog Archive section of the main ISDS website. Please be patient until the information is fully available. The main aim is to reveal the heritage of the working sheepdog, using the new website. This will be done by sharing material already in the ISDS Sheepdog Archive, and the collection of more heritage material, covering the hundred year history of the ISDS. Thirty main interviews are proposed, with approximately forty smaller interviews, these will be presented with the sheepdog material that is collected along the way. 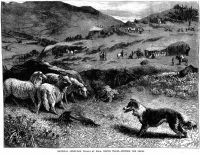 There are many subjects of interest to many people, many subjects to be pursued from all over the UK: J. M. Wilson, who won nine Internationals; International and National winners; dynasties of sheepdog handlers such as the Longtons/ Huddlestons/ Hutchinsons in Lancashire, shepherding families such as the Welsh family in Ayrshire; Shepherds in Scotland, the Lake District, the South Downs, Northumberland, to name just a few; the history of trialling in the home nations over one hundred years; local sheepdog societies; and many individual handlers and dogs. The list is endless, and relies on people to pursue their interests and share the heritage, now and to preserve heritage for future generations. The subjects for interviews will be sheepdog handlers of note, and their dogs, from all decades in the hundred year history of the ISDS. But, it is not just triallers, we want to hear about farmers and shepherds from all over the U.K. We will establish which families of shepherds and farmers to involve in interviews, by interactions on the new ISDS Sheepdog Archive website when it is launched, and use a Facebook group. There will also be direct communication with known families of interest, on consultation with volunteers. The plan is for volunteers to work with the established team of sheepdog writers to undertake interviews with a member of their family or someone in their community who has a lot to contribute about the heritage of working sheepdogs. It will involve digging out photographs of handlers, dogs, work situations, and local newspaper articles about those handlers and dogs. Volunteers will range from ISDS officials, ISDS members, local sheepdog societies, the handlers themselves, family members, anyone with an interest in sheepdog heritage. We will need volunteers to collect heritage material from their own collections of photographs, and from personal scrapbooks, to be shared digitally in the ISDS Sheepdog Archive. Volunteers will be able to improve their skills in digital editing and digitalisation, either from their own resources (such as students at colleges and universities) or by referring to the interactive section of the new website, or by liaising with project workers. 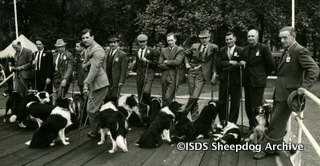 In return, material can be shared from the ISDS Sheepdog Archive about particular handlers and dogs, or events from the past. There will be displays at the Nationals and the Internationals, to encourage the exchange of further archive material. Project workers and volunteers will help to co-ordinate these exchanges at the Society trials. Within the four home nations, and local areas, the key contact is Kim Gibson, as Project Manager. The ladies in the ISDS office are keen to help with any enquiries, and will be helping to organise the displays at the Society trials. We are looking for more key volunteers, but as a starting point, we have Kim Gibson and Andrew & Pauline Hall in the north of England, Suzy Frost in the south-east of England, Caroline Woolley in the south-west of England, Austin Bennett in the English/Welsh borders; John McCullough in Ireland; Sine Robertson and Fiona Macmillan in Scotland; and Lisa Soar in south Wales, and Sue Main in north Wales. It is a substantial undertaking, and will require the support of many volunteers from all over the U.K. Any assistance is important, from pointing out the main areas of interest, to becoming greatly involved. Funding will be available to help with expenses, such as travel and equipment. Training will be available, there will be on-line information on the new website on how to learn about sheepdog heritage, and there is funding accessible for study days available on oral/spoken history.